January ushered in a new year for the world, and it brought a whole new life into the world of these celebrity couples who had babies during the first month of January 2014. These celebrity babies represent show business, the world of sports, and there’s a joyous little bundle of royalty here, too. Harper Rose Barash, daughter and first child of soap stars Kirsten Storms, 29, and her hubby / co-star, Brandon Barash, 34. Lincoln, first child and son of Edmonton (Canada) Oilers forward Ryan Jones, 29, and his wife, Jamie. Bennett Armistead Schauer, son and first child of actress Laura Linney, 49, and her husband, Marc Schauer. Linney kept the pregnancy a secret, shunning the spotlight for the last half of 2013. Baby Bennett’s birth was a big surprise to many. Mia Grace Tindall, first child of Zara Phillips, 32, and her husband, British rugby star Michael Tindall. Phillips is a granddaughter of Queen Elizabeth II and Prince Philip, Duke of Edinburgh. Baby Mia is #16 in line to the throne and first cousin to Prince George, born last summer to Catherine and William, Duchess and Duke of Cambridge. Amalya Millan, daughter of Dancing with the Stars pro dancer Anna Trebunskaya and actor / musician Nevin Millan. Trebunskaya announced her pregnancy in September when fans noted her absence from the TV show’s 17th season. Cai MyAnna Dukes, daughter to Shameless star Shanola Hampton and her hubby, Daren Dukes. “Blessed...overjoyed...pure bliss,” says mom. 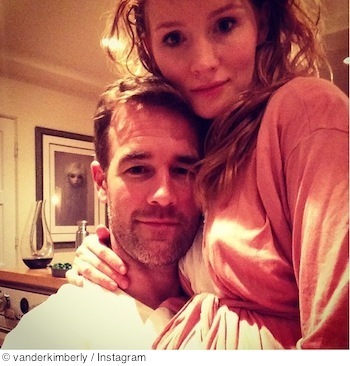 Annabel, daughter and third child to actor James Van Der Beek and his wife, Kimberly. Naming the baby was never a problem; mom only had one name in mind and so did daddy. Fortunately, it was the same name. Shane, a son born to Bachelor reality TV star Andrew Firestone and his wife, the actress / model Ivana Bozilovic. This is baby #3 for the family. A son for actor Owen Wilson, 45, and personal trainer Caroline Lindqvist. The couple, who claim to be never involved in a committed relationship and live separately, haven’t yet released a baby name but Daddy Owen is said to be an active participant in the baby’s life. He has an older son named Robert Ford Wilson by a previous relationship. Source: “Moms & Babies.” People. Time Inc. Feb 2, 2014. Web. Feb 4, 2014.